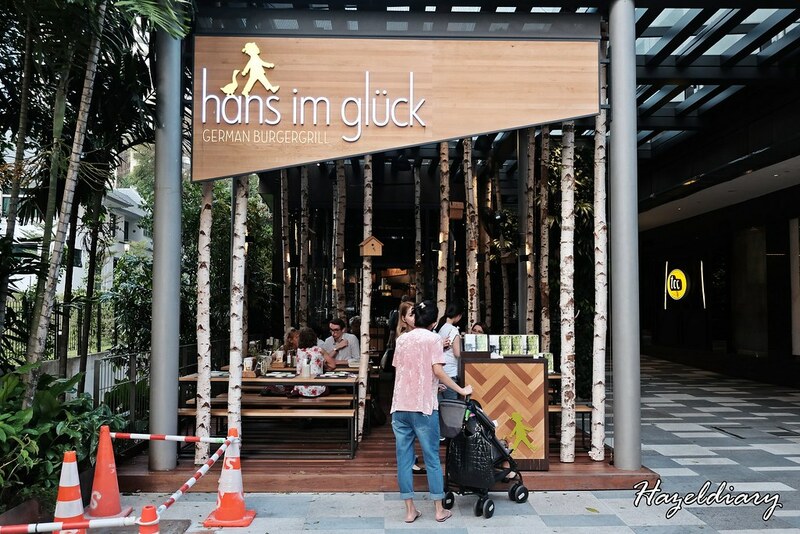 HANS IM Gluck German Burgergrill located along Orchard Road beside the Royal Thai Embassy is originated from Munich,Germany. My friend and I visited the place recently on one of the weekdays after work. It was almost 7pm and the place is filling up pretty fast with young couples and friends’ gathering after work. 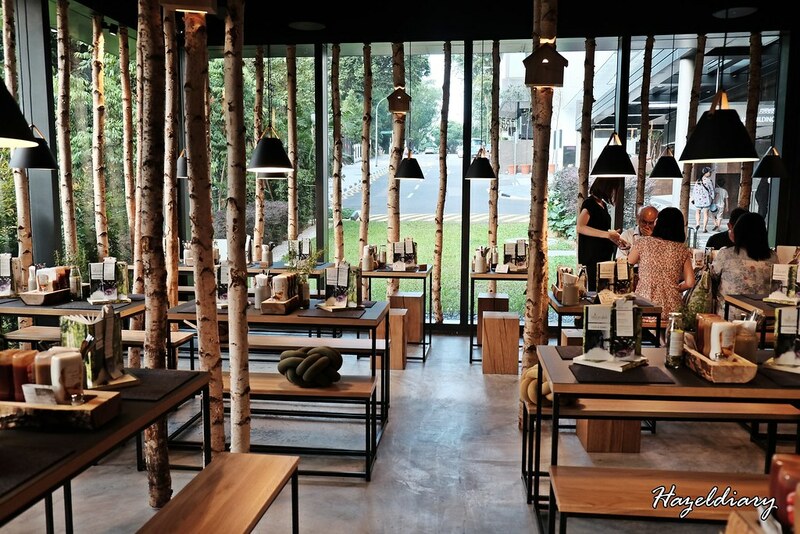 HANS IM GLUCK German Burgergrill restaurant has an interior theme with lush greenery and wooden tree trunks that gives a warm feeling the moment you stepped in. 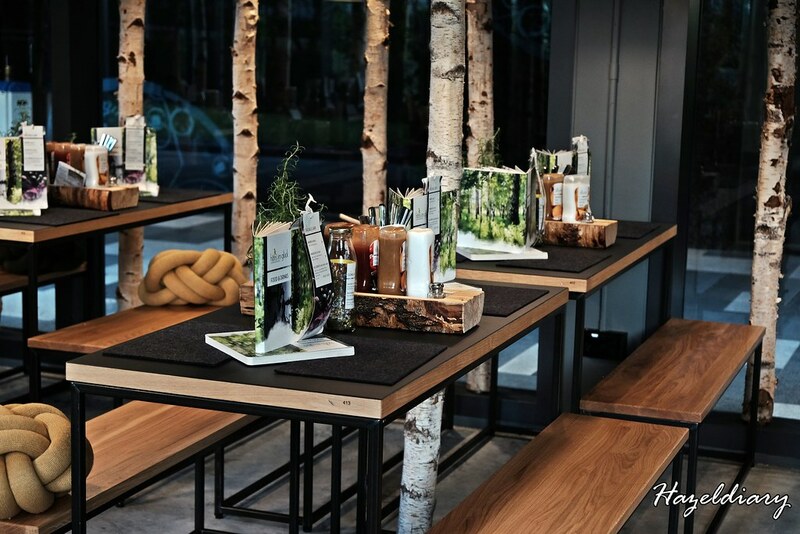 Even the menu is specially curate to match the restaurant theme. So, what do they offer? 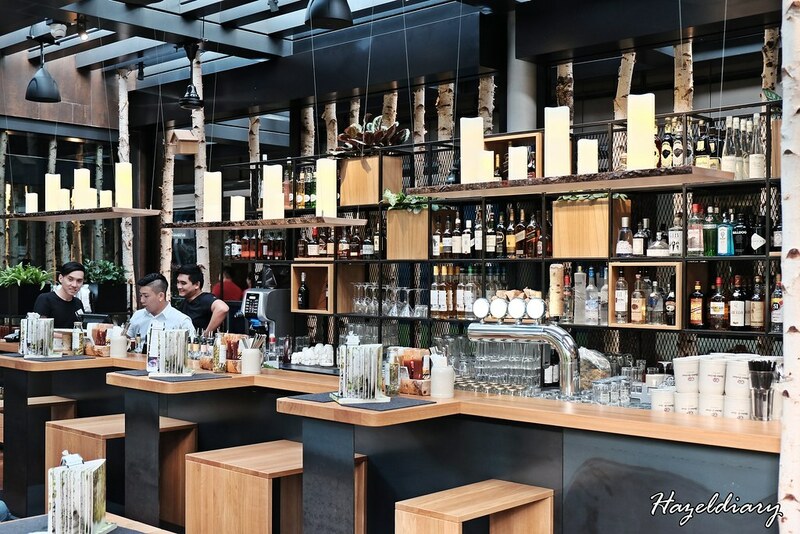 They offer set lunch and dinner including burgers, salads, cocktails and coffee/ tea. 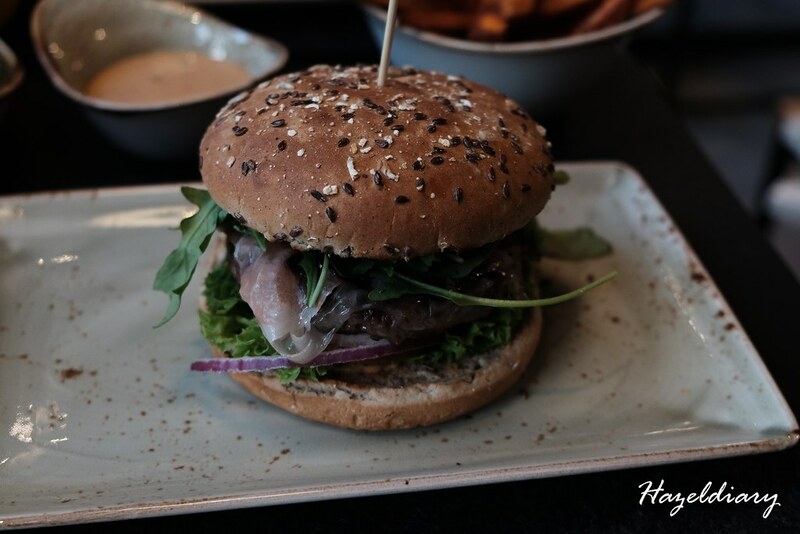 The burger comes with extensive selection of beef and chicken choices. Diners also get to choose the choice of burger buns ( sourdough buns, wholemeal buns or naked (no buns)) as well. Ala-carte dishes including onion rings, sweet potato fries and sauces are available separately. 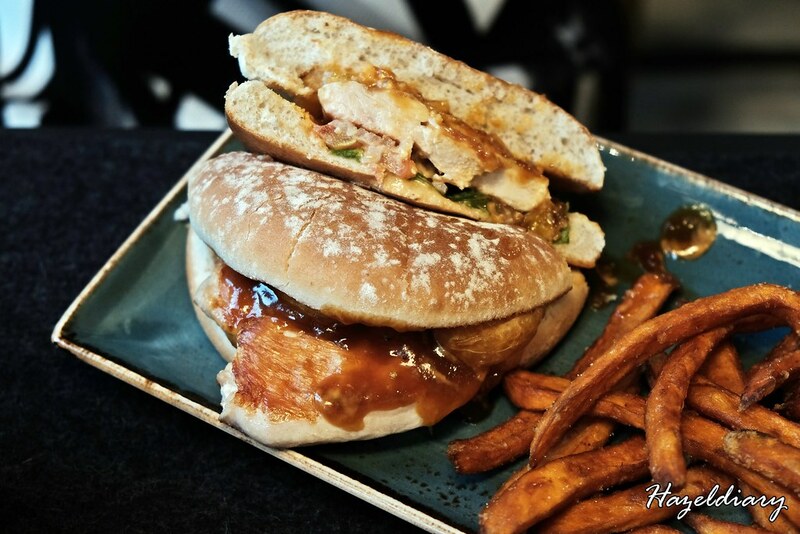 We ordered a juicy beefy and grilled chicken breast burger to try. It comes with our choice of burger buns. 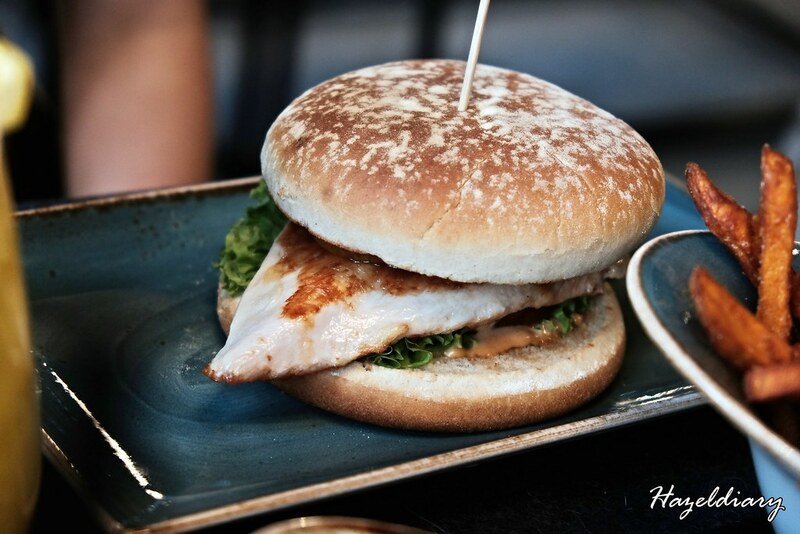 For the beef burger, we opt for wholemeal bun and sourdough buns for the grilled chicken breast with grilled mandarin. We love the fluffy buns and the whole meal tasted healthy in a sense. The beef patty was nicely done and I managed to finish it all by myself. Surprisingly! I usually cannot finish one whole burger. I think probably because of the bun tasted lighter and hearty taste. The grilled chicken breast burger was okay. We did feedback to the staff that it would be best if they can remove the seeds from the mandarin orange slices. The taste is much lighter as compared to the beef burger. Nevertheless, it was a good try to come up with a Chinese New Year burger. We also tried the sweet potato fries S$9.00 and 2 sauces for dipping. My favourite sauce is the avocado cream under the vegan sauces section. It was superb addictive. If you are a fan of avocado, order this. 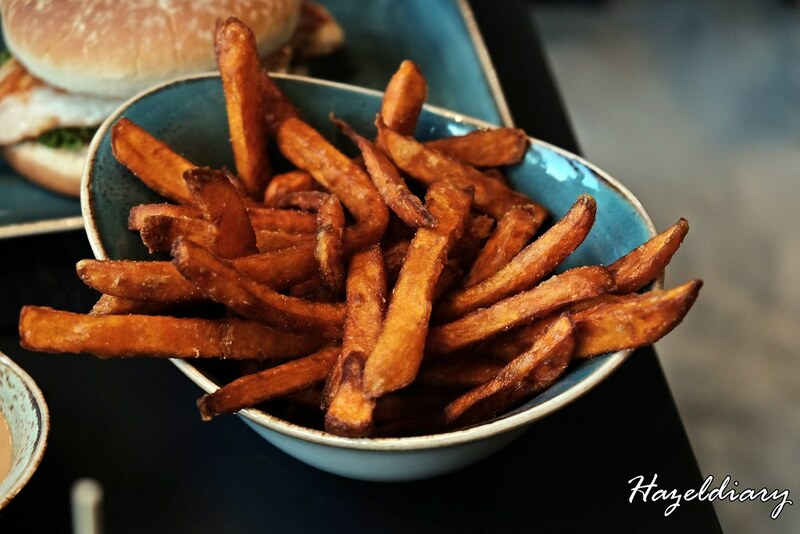 The sweet potato fries was crispy simply irresistible! We managed to finish it all after the burger. It was quite a rare sight I would say! There are 4 sauces option available on each dining table. 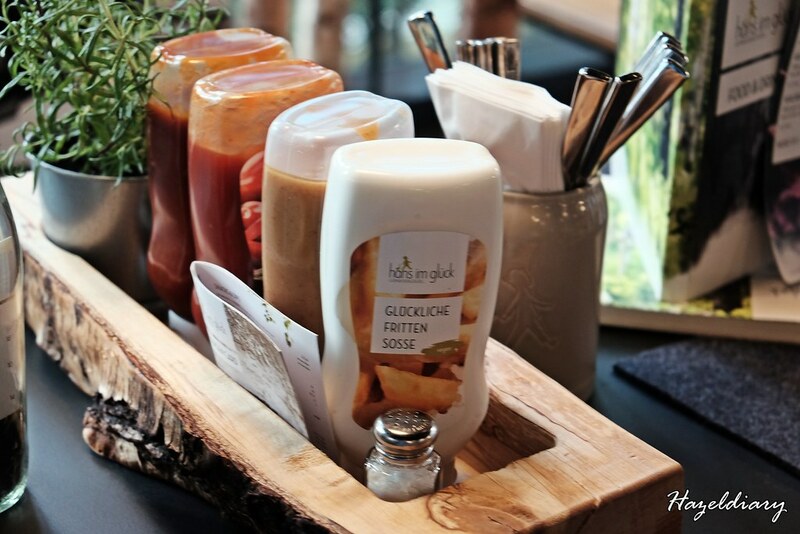 Customers can mix and match to try the sauces. 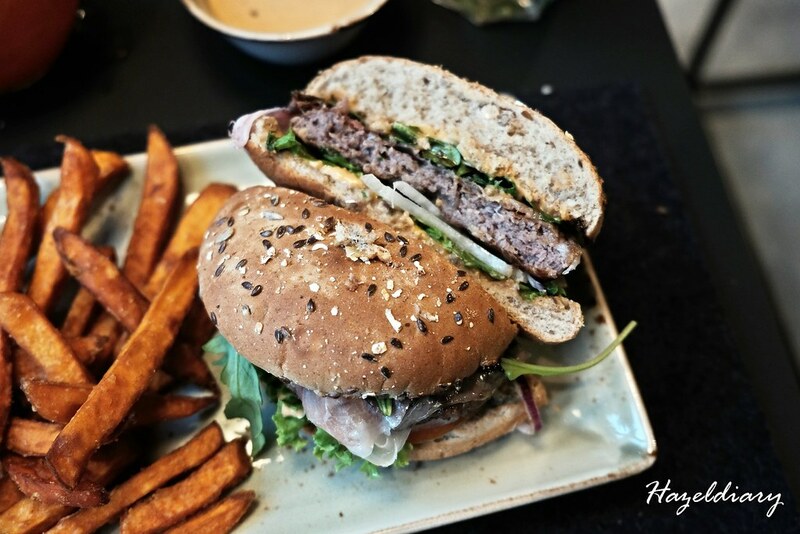 As a whole, I think German burgers tend to be healthier as compared to American version. The ingredients and sauces used are different as well. 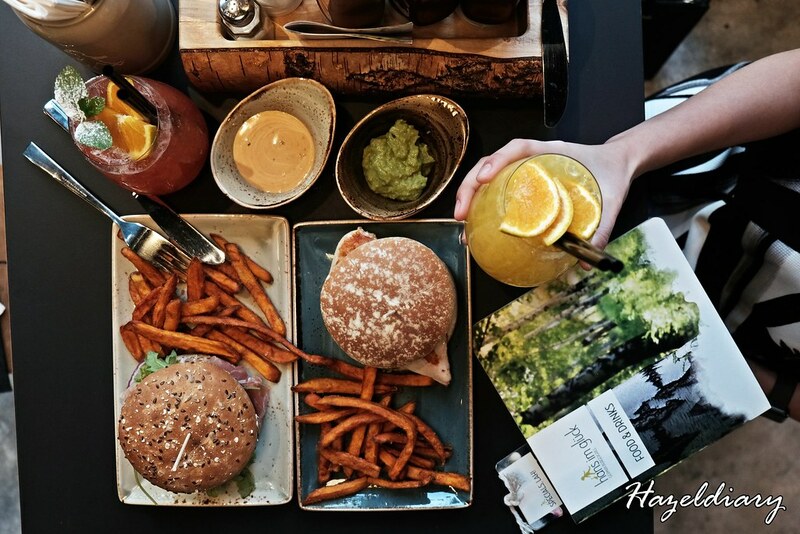 I would recommend to those who are health conscious or want to enjoy burger without feeling much guilt. 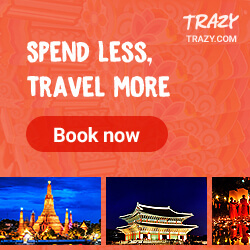 This is a place to try and the price is pretty affordable too.